Held in December, members display their artwork for a popular and special holiday event featuring live entertainment, refreshments, and wine. FAL members and the community are invited to enjoy the exhibition along with friends and family. 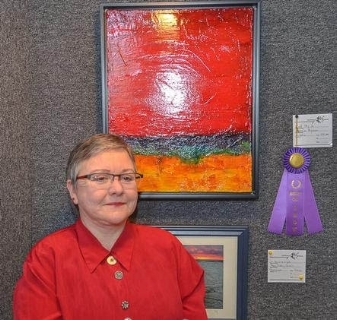 Held in the spring during Fairfax City’s Spotlight on the Arts festival, members submit their best works for a competitive, professionally judged exhibition with cash prize awards. A highlight of the year, members and the public are invited to view the art and enjoy live entertainment and refreshments.